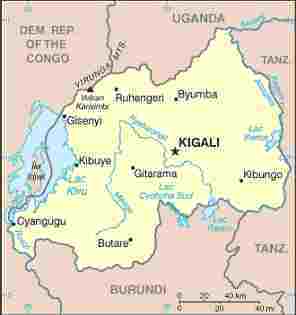 In August 1994, 114 members of the Battalion, mainly Alpha Company deployed to Rwanda as part of the Medical Support Force for the United Nations Mission UNAMIR II. The nucleus of the 2/4 RAR contingent was Alpha Company, tasked to provide security for the Australian Medical Support Force. Other 2/4 RAR personnel were employed in the Contingent Headquarters, as medical assistants and in logistical support functions.. It was during the Battalion’s deployment to Rwanda on Operation Tamar in 1994, that the Australian Government made the decision to unlink the 2nd / 4th Battalion. This was a result of the 1994 Defence White Paper which identified the need for an additional Infantry Battalion to enhance the Army’s capability to meet strategic guidance requirements. THOMAS MAJ S MED OFFR . BRAIN LT S PL COMD .